Shop to build a better world! 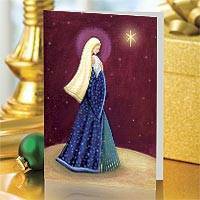 Unicef Market's Mother and Child Unicef Cards and Gifts Greetings Card Collection helps Unicef save and protect the world's most vulnerable children. Every gift you purchase helps save children's lives.